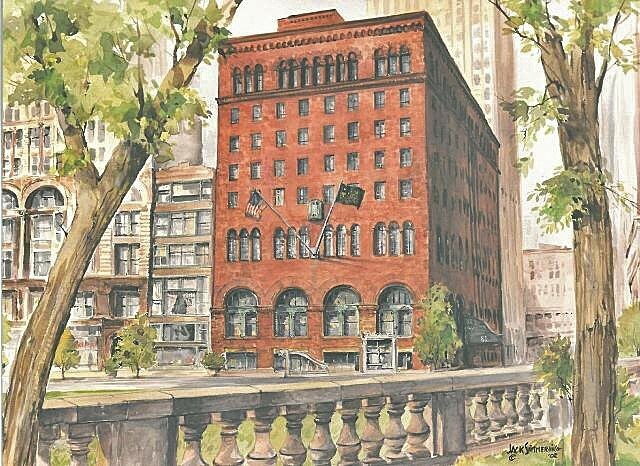 About the Club: Founded in 1869, The Chicago Club is Chicago’s premier private club and one of the world’s most prestigious and historic city clubs. The Club’s membership is comprised of many of Chicago’s top C-suite executives and community leaders, who show great respect and appreciation for the Club staff. 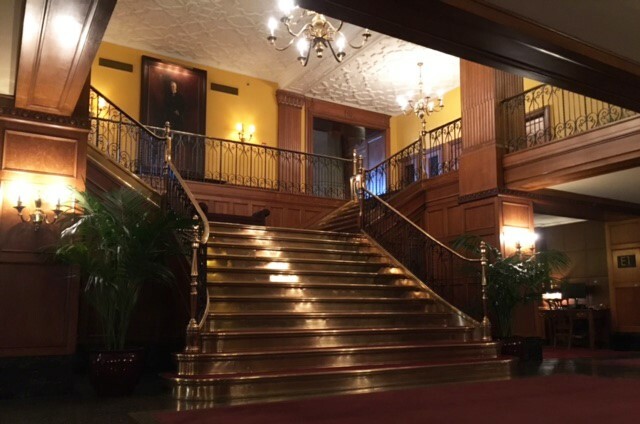 The Club is located in downtown Chicago on Michigan Avenue across from Grant Park, and in close proximity to the Art Institute of Chicago and Millennium Park. Position Summary: The Club is looking for “Hands-on” Culinary Leadership with the ability to service an elite membership. Responsible for all food and pastry production for a la carte restaurants and banquet functions. Develop menus, food purchase specifications and recipes. Supervises production and pastry staff. Develop and monitor food and labor budgets for the department. Maintain highest professional food quality and sanitation standards. The Executive Chef will always look for improvement while continuing to maintain the high standards of excellence already instilled into the kitchen operation. The ideal candidate will possess a true passion for professional cooking, and have a proven and stable track record of culinary excellence. It will be important that the new professional align him or herself with, and embrace the Club’s culture that values respect and good fellowship. The Executive Chef is responsible for ensuring that all food is consistently outstanding – from standard private club fare to special events throughout all food venues. Purposed driven, organized and detail-oriented professional. A team player of unquestionable character & presence. Someone who understands the private club sector and is driven by pride, teamwork and member satisfaction. Has an engaging, outgoing personality – one that both staff and membership can relate to and rally around. The ability to handle pressure, creativity to offer a diversity of items and an approach that facilitates communication and a sense of unity. Competent multi-tasking abilities and time management skills. Mature individual with the ability to demonstrate good judgment, problem solving, and decision-making skills. With this appointment the Club is looking to continue to raise the bar on food quality, recruiting and staff training. Cultivate relationships with members, staff, and vendors in order to better understand their needs, resulting in high satisfaction for all constituencies. The current culinary staff is tenured. The EC should embrace staff and create a new culture that encourages creativity and passion for the work that they perform. Continue to exceed member expectations for quality, presentation, creativity and value on a consistent basis. Learn and understand the member dining preferences and continue to develop the culinary program and offerings to meet member needs. Hire, train, motivate, and develop quality staff. Serve as coach and mentor. Lead by example. The Club needs a Chef (Leader) who will add consistency and variety to the Ala Carte dining operation. Must have a strong culinary vision. Develops recipes and techniques for food preparation and presentation which help to assure a consistently high-quality product. Works to minimize food costs exercising portion control over all items served. Assists in establishing menu selling prices. The Executive Chef is expected to maintain a professional relationship with all employees. Ensure proper food handling and sanitation standards are met. Hands-on during lunch and dinner service. Annual food sales at $2.1M; total F&B Sales $2.7M. The actual Food cost is 37% with desired food cost at 35% with a sales mix of 25% a la carte and 75% banquet. There are 16 kitchen employees supported by a $700,000 labor budget. The Club supports three (3) kitchens throughout the Clubhouse. Capital replacement funds are available on an as needed basis. The Executive Chef is supported by two (2) Sous Chefs and a Pastry Chef. The Chef does the purchasing. The main Clubhouse is 130,000 sq. ft. and supported by 1,065 total members whose average age is 62. The Club operates full-time twelve (12) months annually. January – March are the slowest months. The Executive Chef reports to the Clubhouse Manager works closely with the Food and Beverage Manager, Catering Manager and Accounting Manager. Dining Facilities: The Club serves breakfast, lunch and dinner five (5) days per week and dinner on Saturdays on the Terrace. 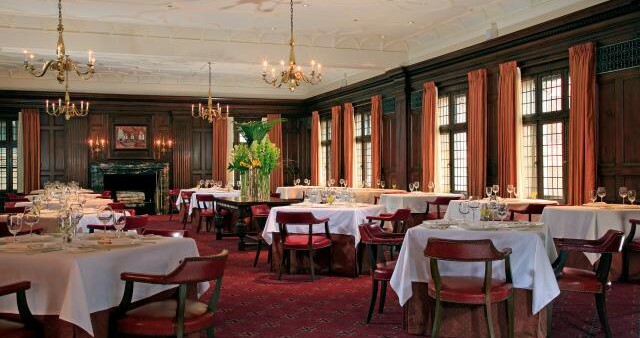 The Grill – A semi-formal member dining area serving breakfast, lunch and dinner with 60 seat capacity. Library Bar – an intimate member dining area with 20 seat capacity. Terrace – This is a dining area serving lunch & dinner with 80 seat capacity. Private Member & Club Events – Beautiful Clubhouse and event spaces with 17 private party rooms. Serving banquets up to 240 guests. Lodging: The Club has 33 hotel rooms. Room service is available. Summary: This individual sets the example for professionalism when working with the service and catering staff. The Executive Chef has excellent communication skills. Knowledge of wine and beverage pairing with food a plus. A (CEC) is the preferred candidate.